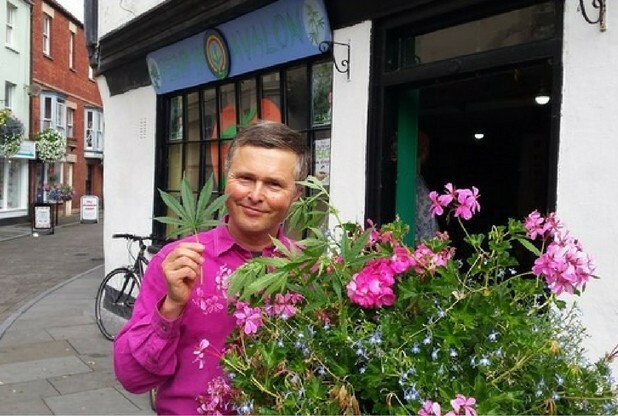 A man who changed his name by deed poll to "Free Cannabis", is a massive campaigner for cannabis has revealed that he’s been growing the drug in secret in a towns award winning public flower display and he’s been doing that for the last 2 decades. Mr Free Cannabis runs a little hemp shop in Glastonbury. Beautiful baskets hanging down, each filled with bright petals and green leaves have adorned Glastonbury for many generations. The town of Glastonbury is only a few miles away from the hugely popular Glasto festival and it has always had the reputation of being a haven for alternative lifestyles and hippies but this audacious hemp shop owner has revealed his secret that he has been spending the last 18 years adding his own special kind of plant to the towns eye catching displays. Sadly for the man, after they suddenly sprouted up the council pulled the plants up which they had unknowingly been watering for the last two decades. The council and the police only acted after a member of the general public had alerted the authorities about the illegal marijuana plants. "I and others come along and drop the seeds into the tubs; they get watered by nature - and the council. "I am amazed that people get so excited about this, it's a sad reflection of society's hemp-phobia. "This is a plant that has so many medicinal qualities - it's a food, it's used for fibre and fuel - it basically gives you everything you need." 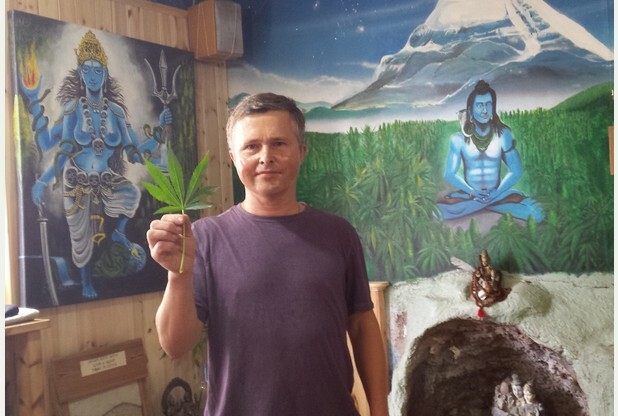 Free Cannabis in his Hemp shop. The green fingered campaigner ended up receiving a 12 month conditional discharge for his actions. In his little hemp shop he sells a legal form of hemp that is for medicinal purposes. He has also had a brush with the law back in 1998 after he had tried to hand a marijuana plant to Jack Straw. Mr Cannabis said "A lack of hempathy leads to a lack of empathy. "It's insane that a plant that is so beneficial - it's used in the treatment of cancer, MS, arthritis and pain management - is illegal. "This is why people end up dealing it illegally and end up becoming criminalised. It’s insane when there are no recorded fatalities. "My dream is to be out of business - I just want to live in a world in which this plant is honoured and respected and grown freely." The Beat manager for Glastonbury said "The small, single plant was removed by the council on Tuesday, having been found in a council-owned basket. "Cannabis is a controlled substance and we would take a vigorous approach to anyone found growing it for supply purposes." Did any of you guys ever notice the budding plants among the flowers? Or a waft of cannabis? We would love to hear from you if so, get in touch!